Can you help Linda Standen find a photo dating back to the late 1960s/early 1970s? Linda, who works for BSG Solicitors in Lancaster is trying to find a photo of the parade of shops on Meeting House Lane in Lancaster situated between Dallas Road and Wheatfield Street. Linda said: “I am specifically looking for anything including the greengrocer shop in the late 1960s to mid/late 1970s. “It may have been known as “Handslip’s”. “It was two or three doors to the left of Morris’s sweet shop and café. 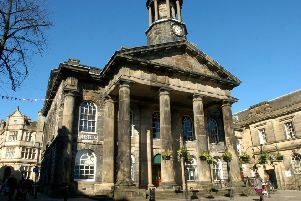 Linda has already spoken to Lancaster District Heritage, Lancaster Library, Lancaster City Council, Lancaster Museum and Andrew Riley of Lancaster Past & Present. Linda said: “Andrew provided a link to Graham Hibbert’s Flickr page and there are lots of wonderful pictures of all areas of Lancaster, broken down into eras. “There is a picture of Morris’s sweet shop and café which is tantalisingly close to what I need, but just not close enough. If you can help Linda by providing a copy of the photo of the greengrocer shop on Meeting House Lane which existed in the late 1960s, email her at LIS@BSGLAW.CO.UK or call 01524 386500 and ask for Linda.